There are only two more rounds left in the Regular Season in LBL. Coincidentally all visitors won their games. Here is the last round review presented by ESL. The most interesting game of round 7 was a home defeat of 6th ranked Ejercito (2-3) to fifth ranked Circolo (3-2) 78-73. 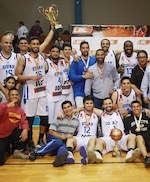 Circolo moved-up to third place, which they share with Lima Norte. Ejercito lost third consecutive game. They dropped to the fifth position with three games lost. They share it with Inmaculada and EOFap. Circolo is looking forward to face bottom-ranked San Marcos (#8) in Lima in the next round which should be theoretically an easy game. Ejercito's supporters also look forward to an exciting derby game next round, where their team will travel locally in Lima to the arena Regatas. Important game to mention about took place in Lima. First ranked Real Club (4-1) saved a 3-point victory on the road edging 3rd placed Inmaculada (2-3) 68-65 on Wednesday evening. It ended at the same time the two-game winning streak of Inmaculada. Real Club have a solid series of four victories in a row. They maintain first place with 4-1 record, which they share with Regatas. Inmaculada at the other side dropped to the fifth position with three games lost. They share it with Ejercito and EOFap. Real Club's supporters look forward to an exciting derby game next round, where their team will face at home their local rival from Lima EOFap. Another exciting game was a derby match between two local teams from Lima: Regatas (#2) and EOFap (#7). EOFap was defeated at home 54-61 and even the advantage of their own court did not help. Regatas have a solid series of three victories in a row. They keep a position of league leader, which they share with Real Club. EOFap lost third consecutive game. Defending champion dropped to the fifth place with three games lost. They share the position with Ejercito and Inmaculada. Regatas' supporters look forward to another derby game next round, where their team will face at home their local rival from Lima Ejercito. Bottom-ranked San Marcos (0-5) is still winless. This time they could not use their home court advantage losing their fifth consecutive match to fourth ranked Lima Norte (3-2) 79-68. Lima Norte moved-up to third place, which they share with Circolo. San Marcos at the other side still closes the standings with five games lost. Lima Norte's next round opponent will be Inmaculada (#5) in Lima. San Marcos will play against Circolo and hope to get finally their first victory. The most shocking disappointment of round 6 in the LBL was a home defeat of second-best Circolo (2-2) to third ranked Regatas (3-1) 71-63. It was a key game for the top position in the league. Regatas keep a position of league leader, which they share with Real Club. Circolo at the other side dropped to the third place with two games lost. They share the position with 4 other teams. Regatas' supporters look forward to an exciting derby game next round, where their team will travel locally in Lima to the arena EOFap. Another interesting game was a derby match between two teams from Lima: Real Club (#1) and San Marcos (#8). Real Club (3-1) smashed visiting San Marcos (0-4) by 17 points 64-47. Real Club have a solid three-game winning streak. They maintain first position with 3-1 record, which they share with Regatas. San Marcos at the other side still closes the standings with four games lost. Real Club's supporters look forward to another derby game next round, where their team will travel locally in Lima to the arena Inmaculada. Another interesting game was again a derby between two local teams from Lima: Inmaculada (#7) and EOFap (#4). Inmaculada (2-2) smashed visiting EOFap (2-2) by 33 points 73-40. Inmaculada moved-up to third place, which they share with 4 other teams including defeated EOFap. Inmaculada's supporters look forward to another derby game next round, where their team will face at home their local rival from Lima Real Club. The game in was also worth to mention about. 5th ranked Ejercito (2-2) played at the court of seventh ranked Lima Norte (2-2). Lima Norte defeated Ejercito 66-52. Lima Norte moved-up to third place, which they share with 4 other teams including defeated Ejercito. Lima Norte's next round opponent will be bottom-ranked San Marcos (#8) in Lima where they are favorite. Ejercito will play against Circolo (#5) and it may be a tough game between close rivals. The most crucial game of the last round was the first loss of Ejercito (2-1) in Lima on Wednesday night. Hosts were defeated by Real Club (2-1) 64-47. It ended at the same time the two-game winning streak of Ejercito. It was a key game for the top position in the league. Real Club keeps a position of league leader, which they share with 4 other teams including defeated Ejercito. Real Club's supporters look forward to an exciting derby game next round, where their team will face at home their local rival from Lima San Marcos. The game in Lima was also worth to mention about. 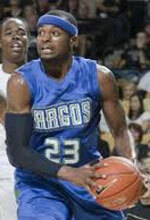 5th ranked Lima Norte (1-2) played at the court of sixth ranked Regatas (2-1). Regatas managed to secure a 9-point victory 59-50. It was a key game for the top position in the league. Regatas keep a position of league leader, which they share with 4 other teams. Lima Norte at the other side dropped to the sixth place with two games lost. They share the position with Inmaculada. Regatas will play against league's second-placed Circolo in the next round and it will be for sure the game of the week. Lima Norte will play against Ejercito (#5) and it may be a tough game between close rivals.